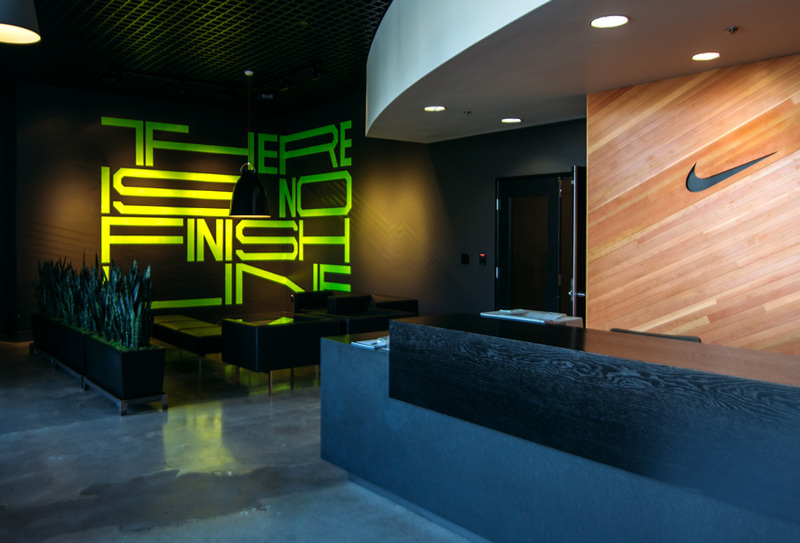 We worked with Nike's internal environmental design team to create the visual presence of a new building on their campus. The building is used primarily for IT, so we created a visual story involving dynamic lines that tie to both information tech and athletics. 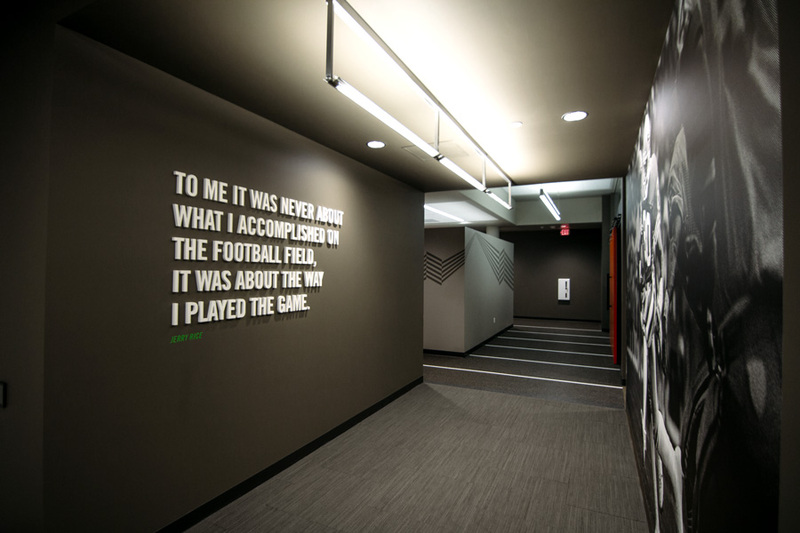 3-dimensional, inspirational athlete quotes line the hallways, and offset large wallpaper graphics of the athletes. Multiple custom wooden walls made of Oregon doug fir are used throughout the space to add warmth, and add to the local story. 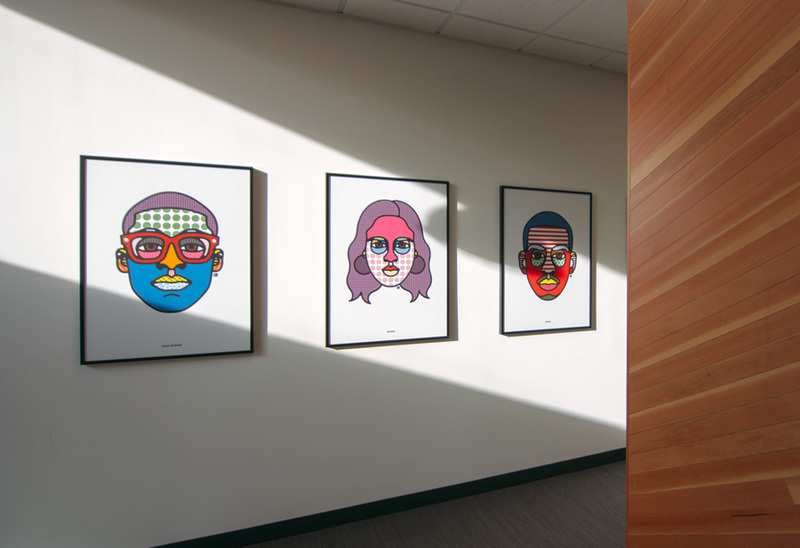 We also used existing Nike t-shirt graphics as framed art in certain hallways to round out the journey. 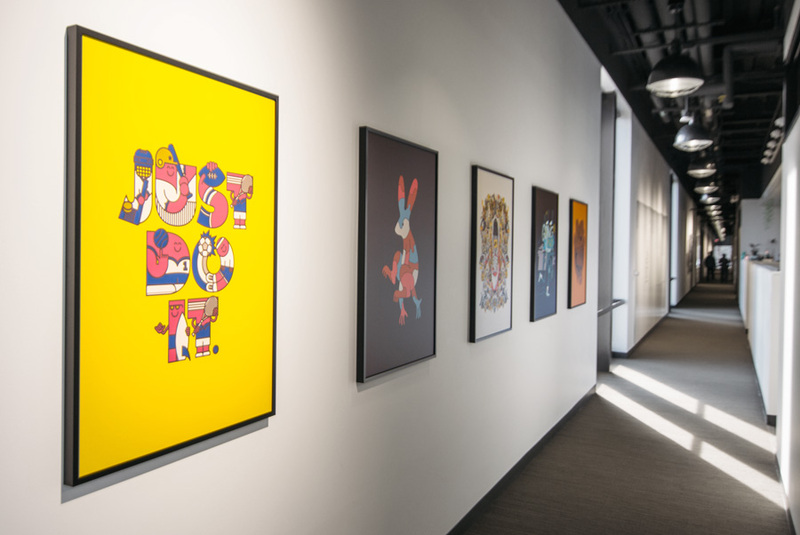 The custom artwork we curated is from some of our favorite artists, including Mike Davis, Parra, Mike Perry, Jordan Metcalf, and Craig Redman. Mounted, large scale athlete photography was also used in playful clusters in multiple locations throughout the building. A huge thanks to the Nike team involved, including Courtney Blommer, Brooke Zueck, Elizabeth Blades, Chuck Eichten and Ashley Brown for the direction and guidance.